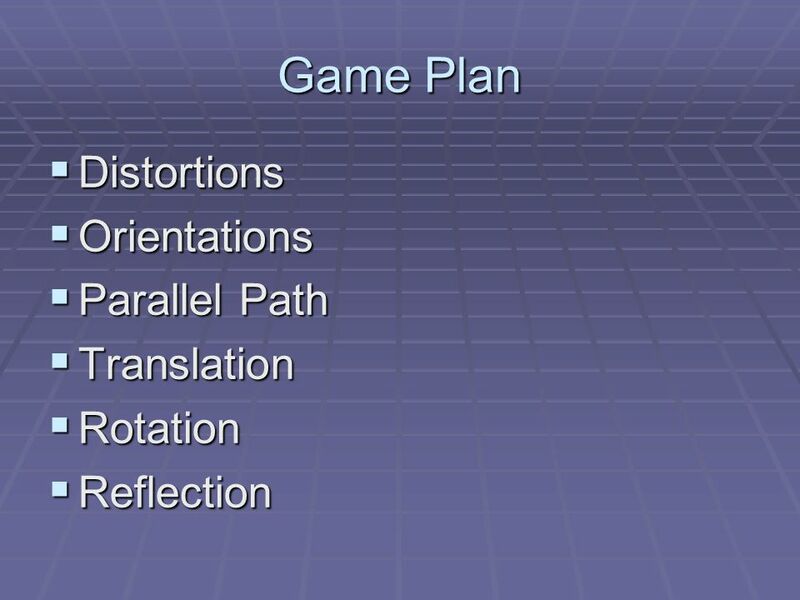 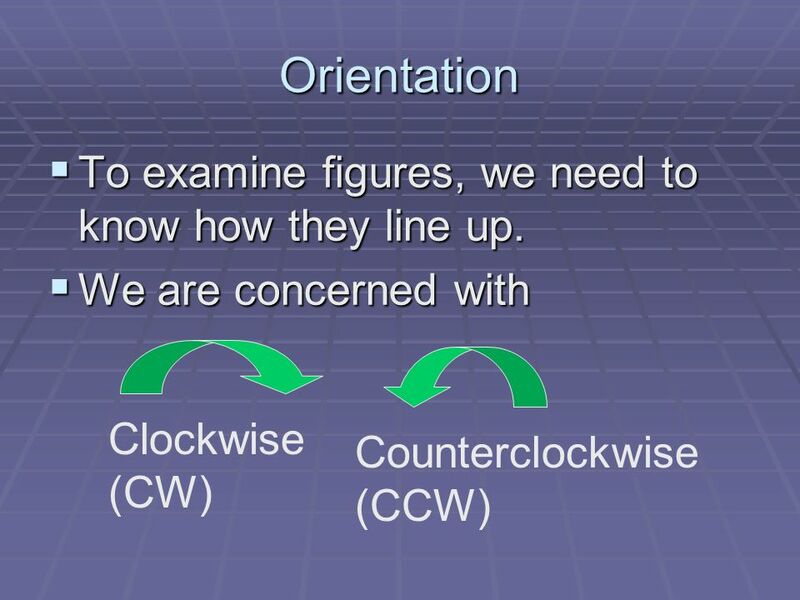 8 Orientation To examine figures, we need to know how they line up. 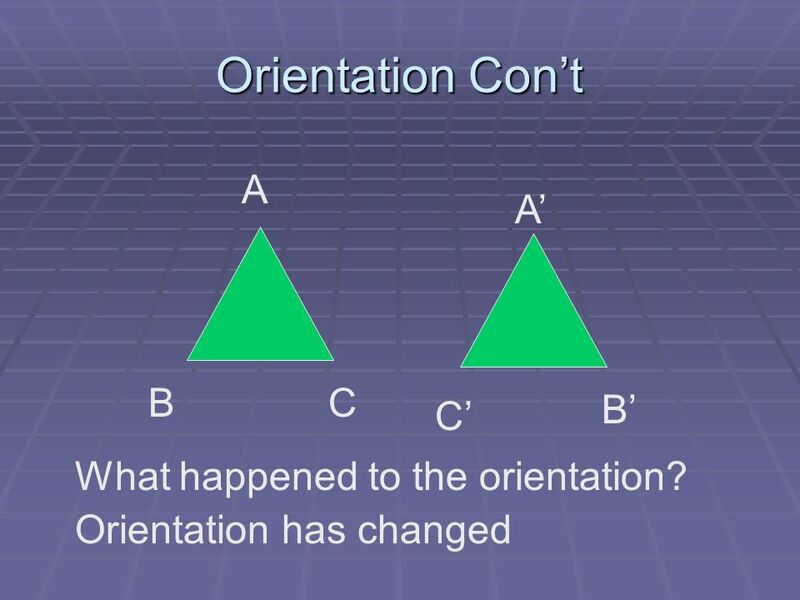 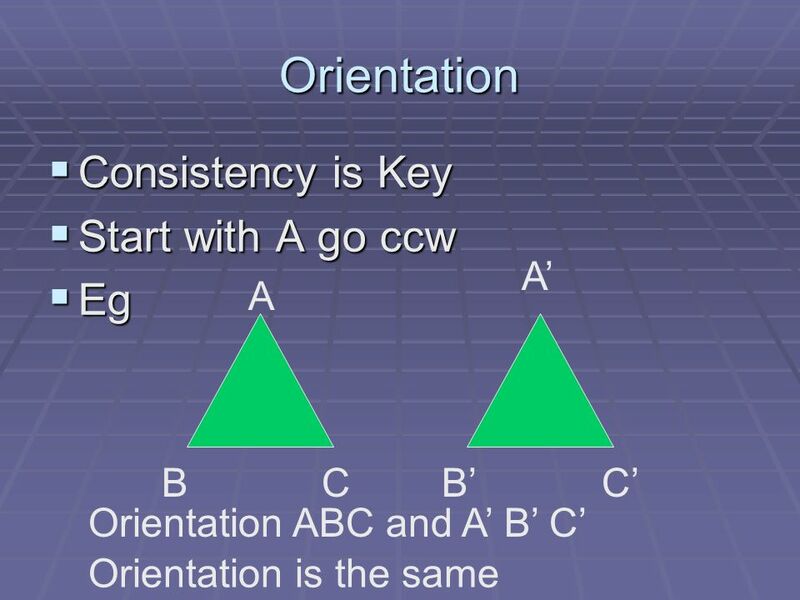 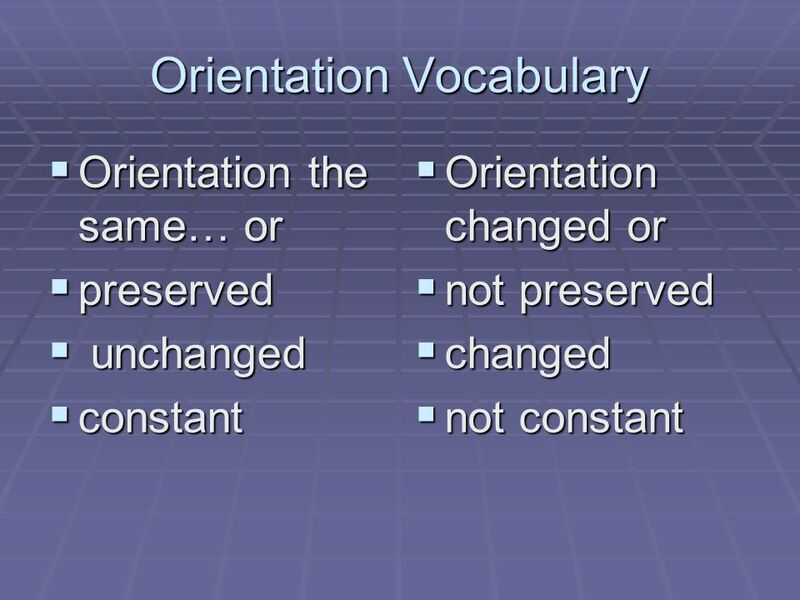 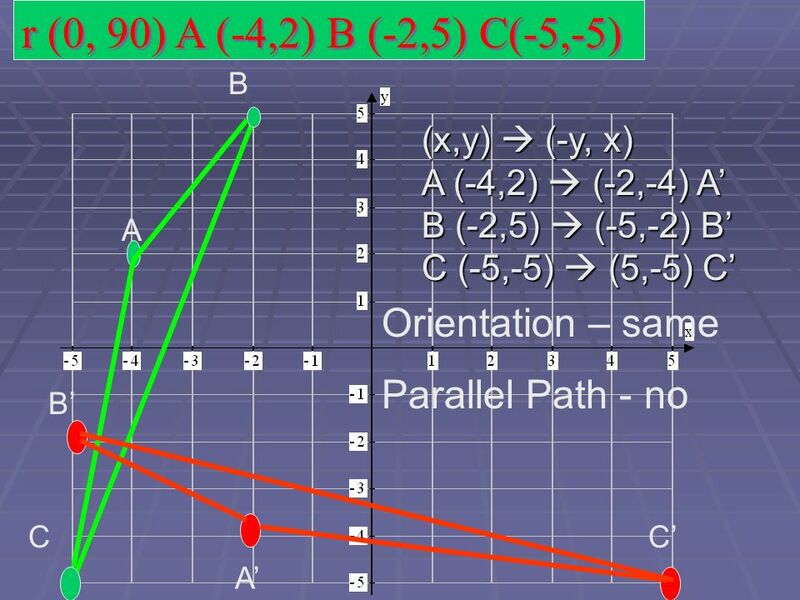 10 Orientation Con’t A A’ B C B’ C’ What happened to the orientation? 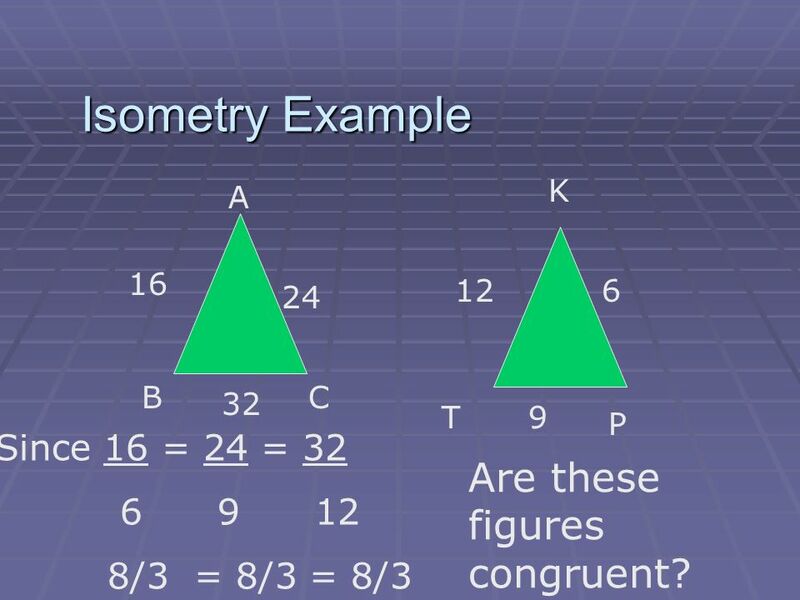 K A 16 12 6 24 B C 32 T 9 P Since 16 = 24 = 32 8/3 = 8/3 = 8/3 Are these figures congruent? 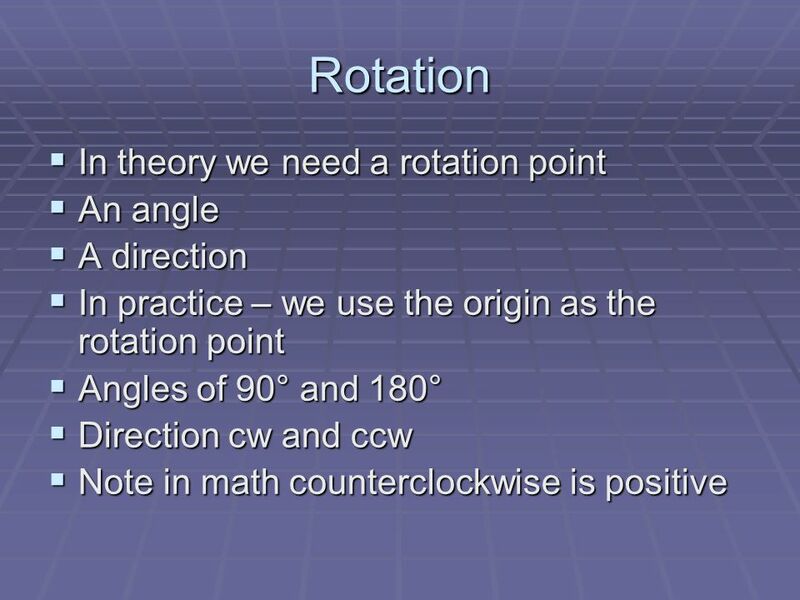 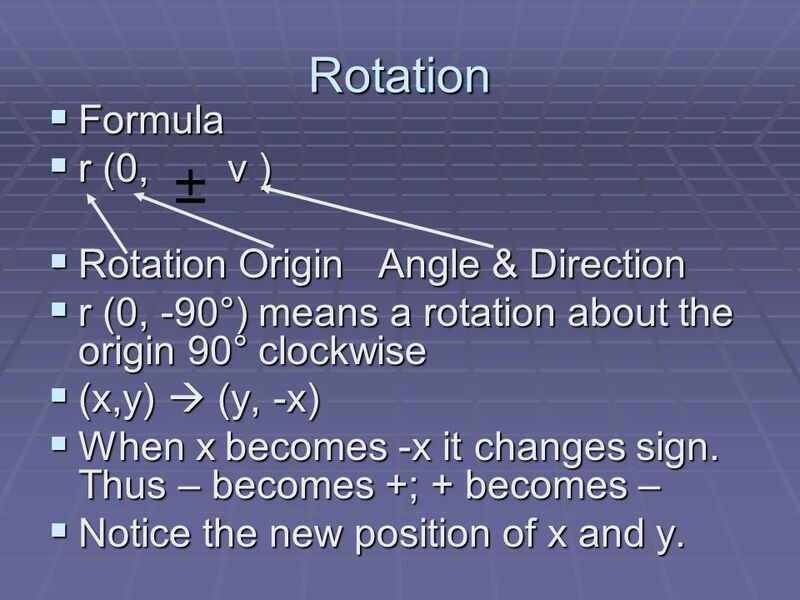 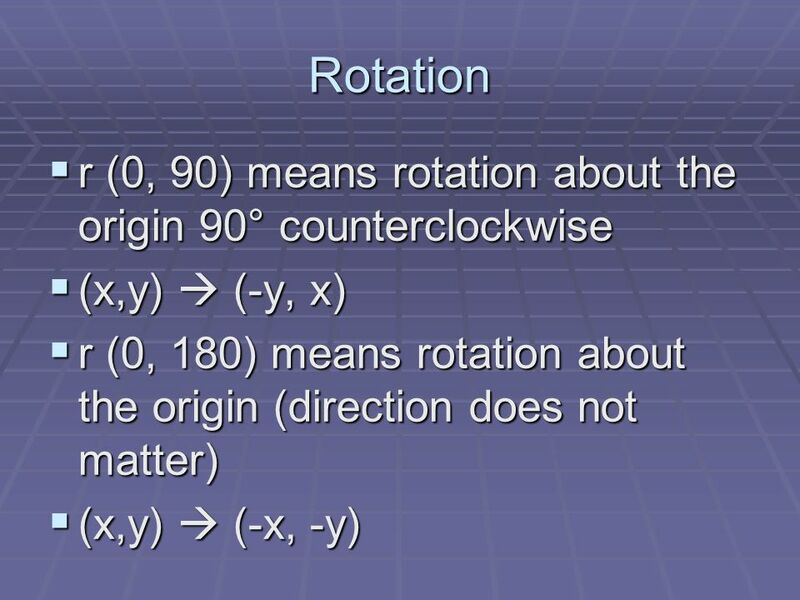 r (0, -90°) means a rotation about the origin 90° clockwise (x,y)  (y, -x) When x becomes -x it changes sign. 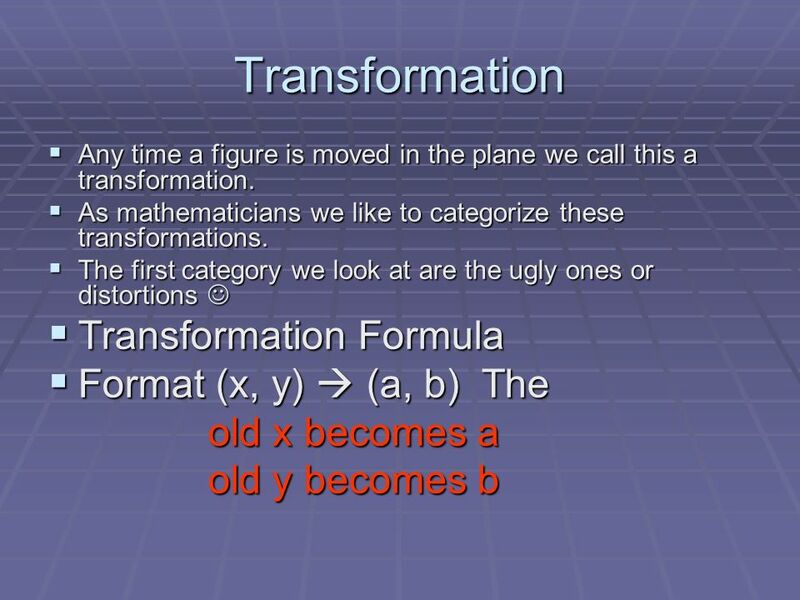 Thus – becomes +; + becomes – Notice the new position of x and y. 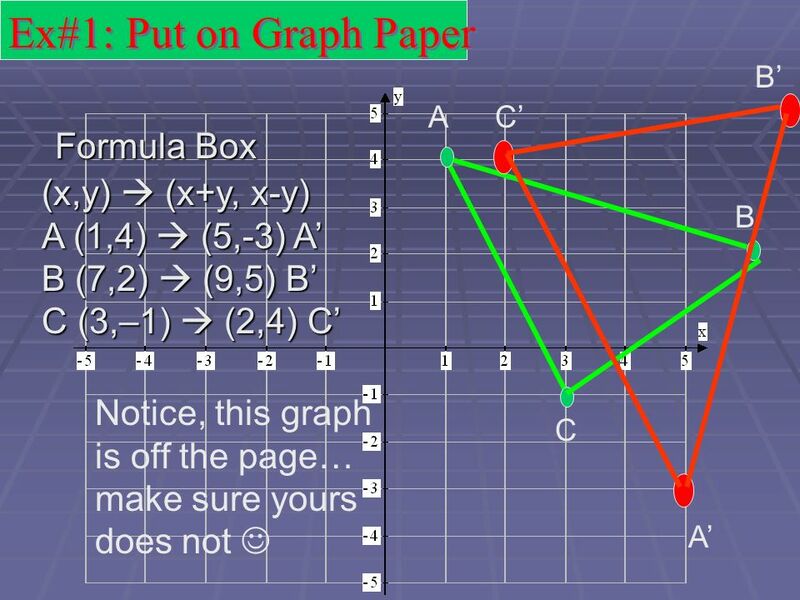 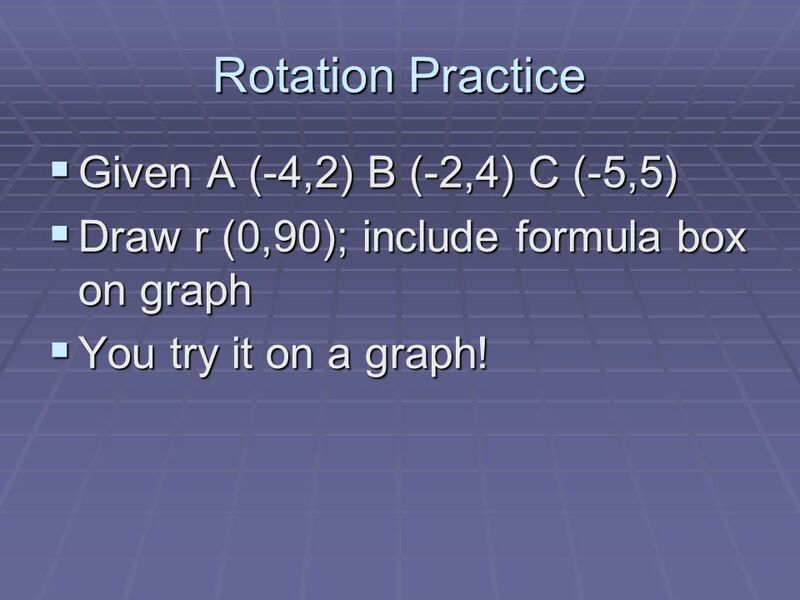 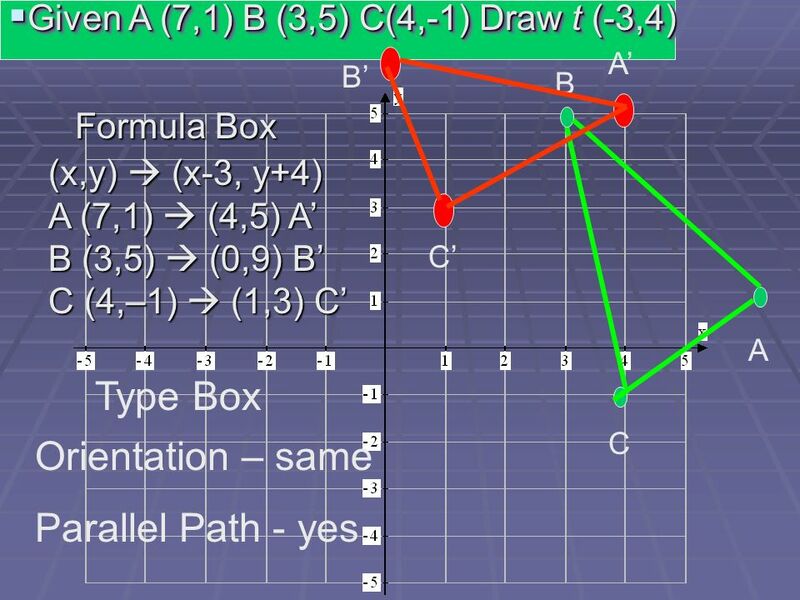 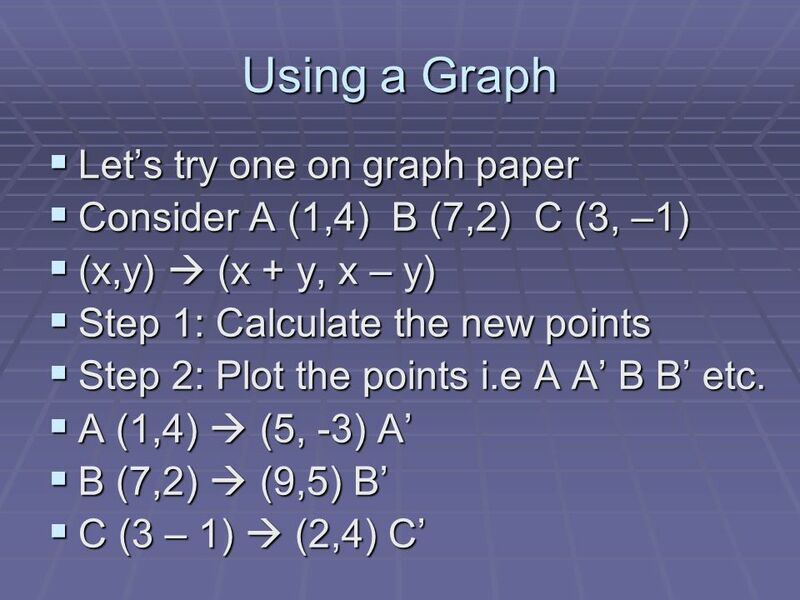 Draw r (0,90); include formula box on graph You try it on a graph! 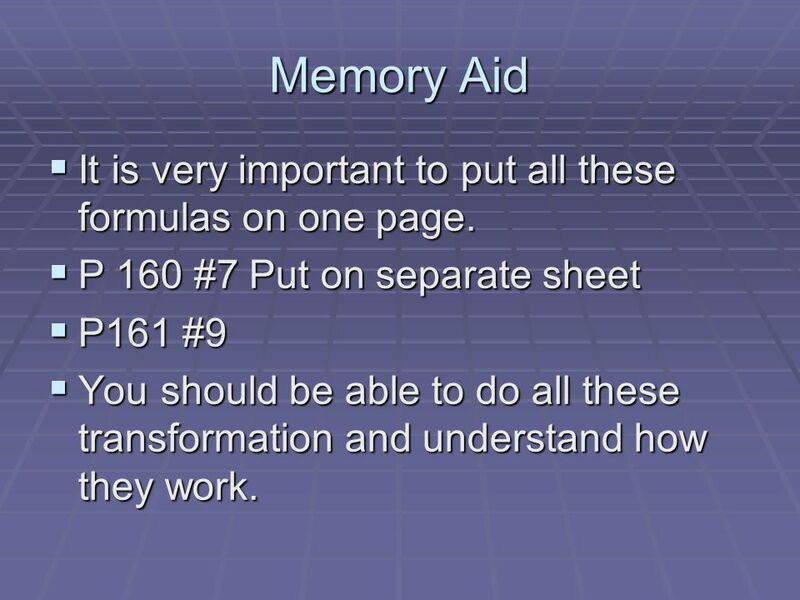 26 Memory Aid It is very important to put all these formulas on one page. 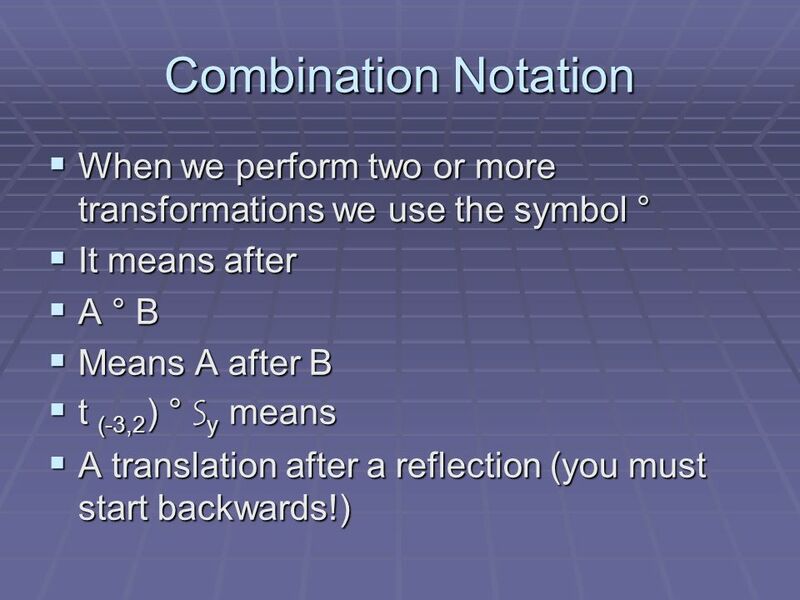 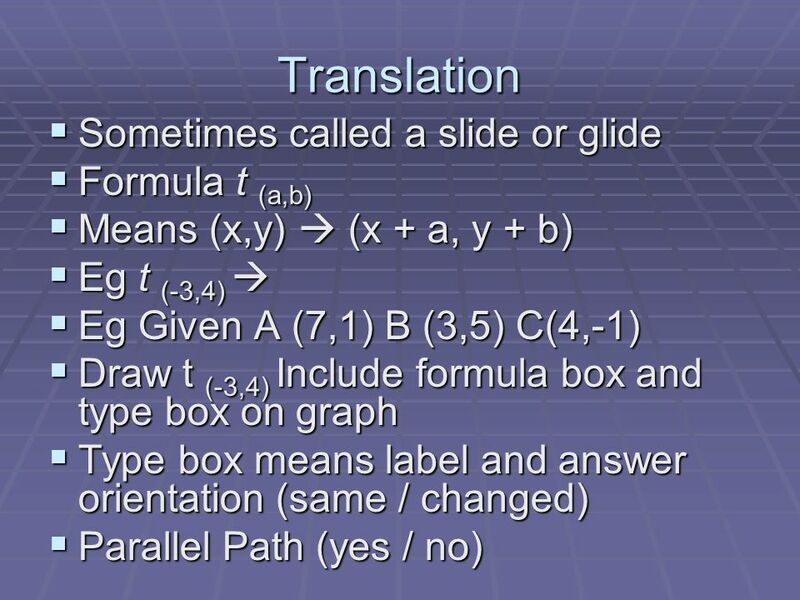 P 160 #7 Put on separate sheet P161 #9 You should be able to do all these transformation and understand how they work. 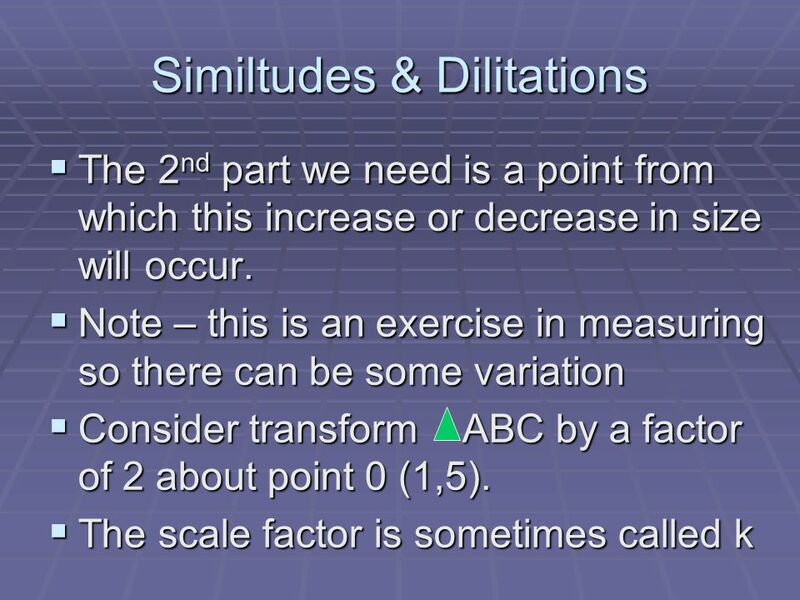 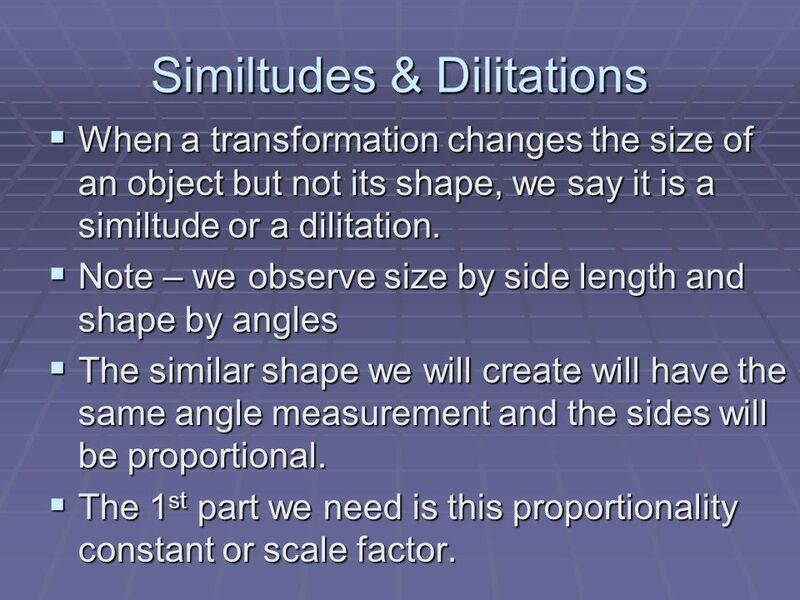 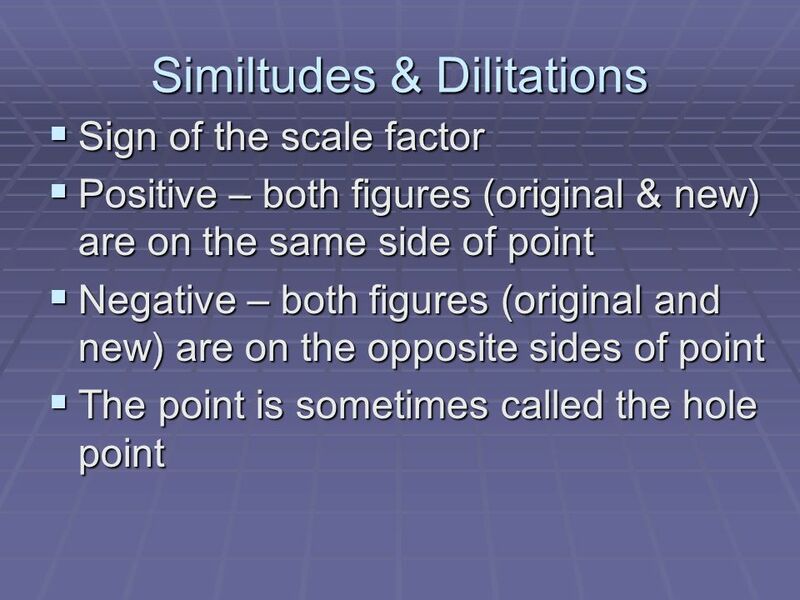 When a transformation changes the size of an object but not its shape, we say it is a similtude or a dilitation. 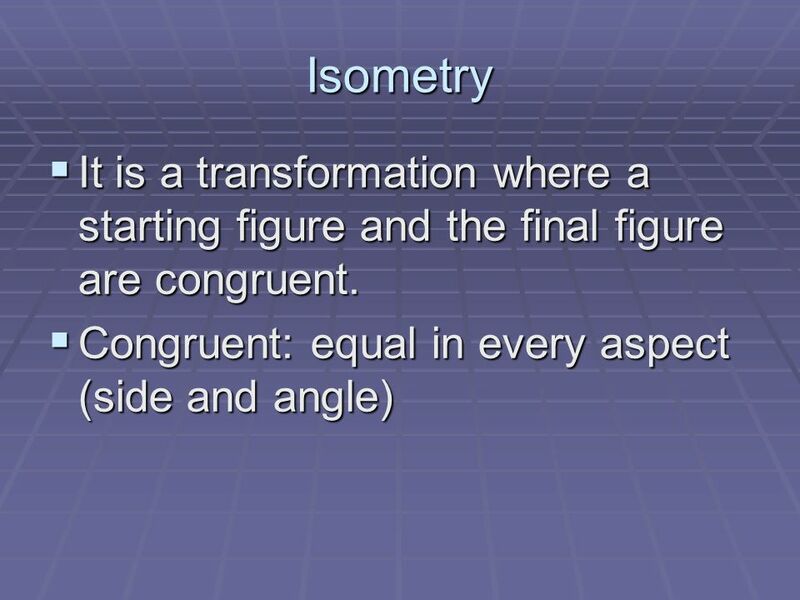 Note – we observe size by side length and shape by angles The similar shape we will create will have the same angle measurement and the sides will be proportional. 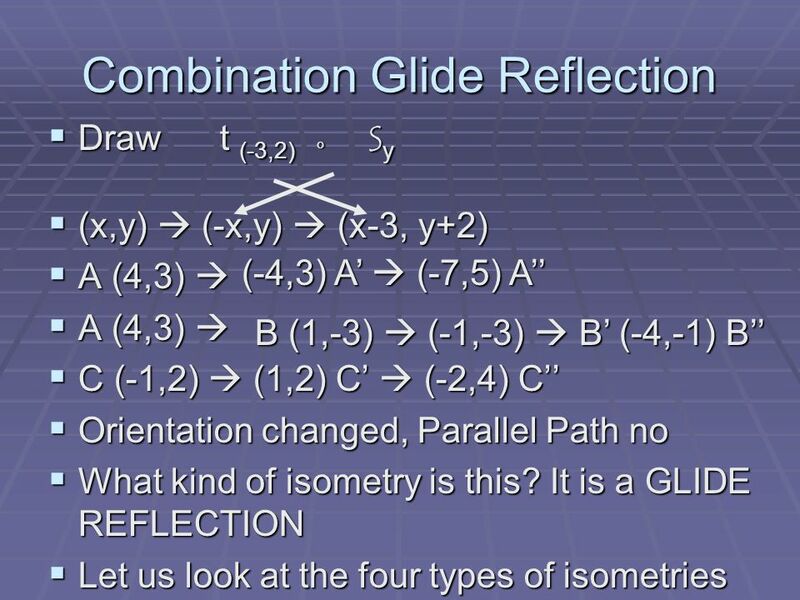 The 1st part we need is this proportionality constant or scale factor. 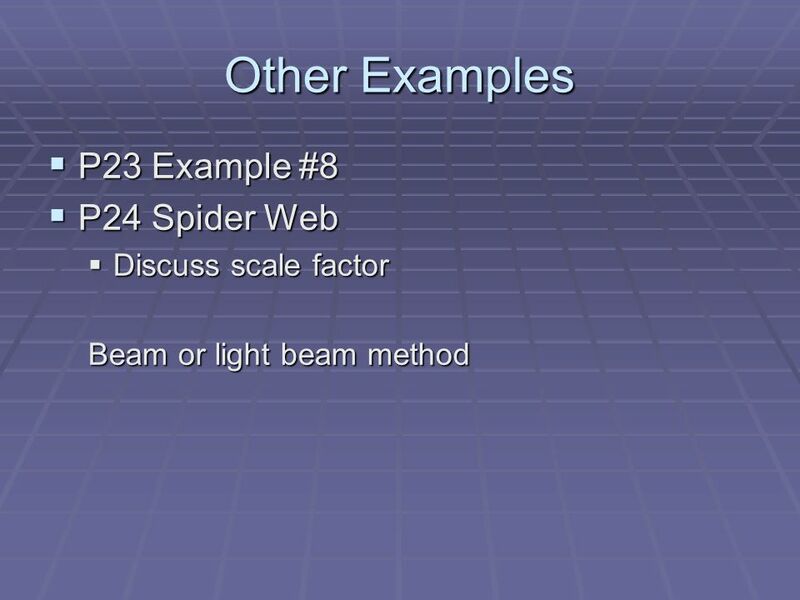 What is similar about these objects? 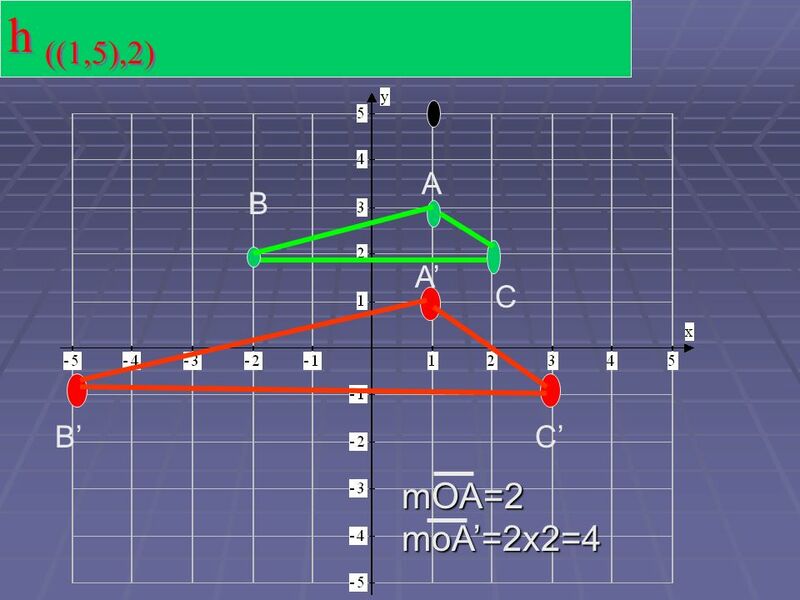 Two or more angles whose measures add up to 90 degrees 30 x. 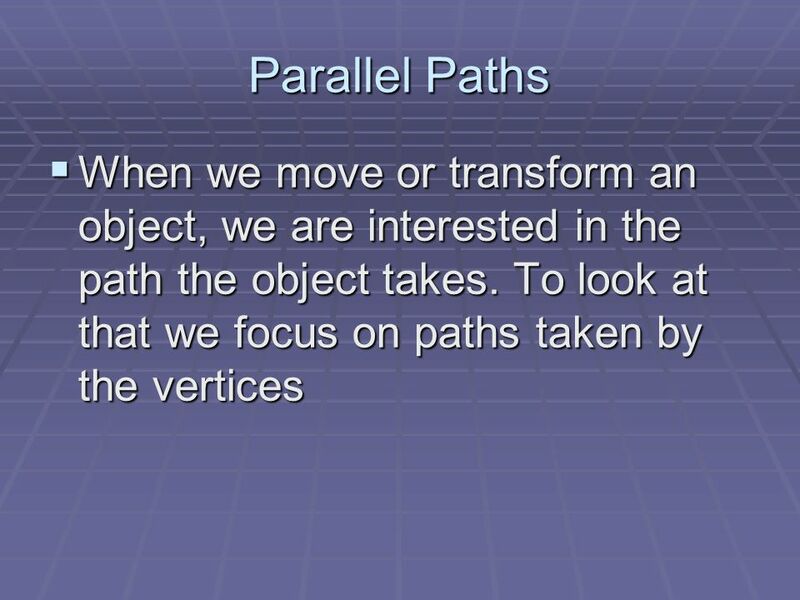 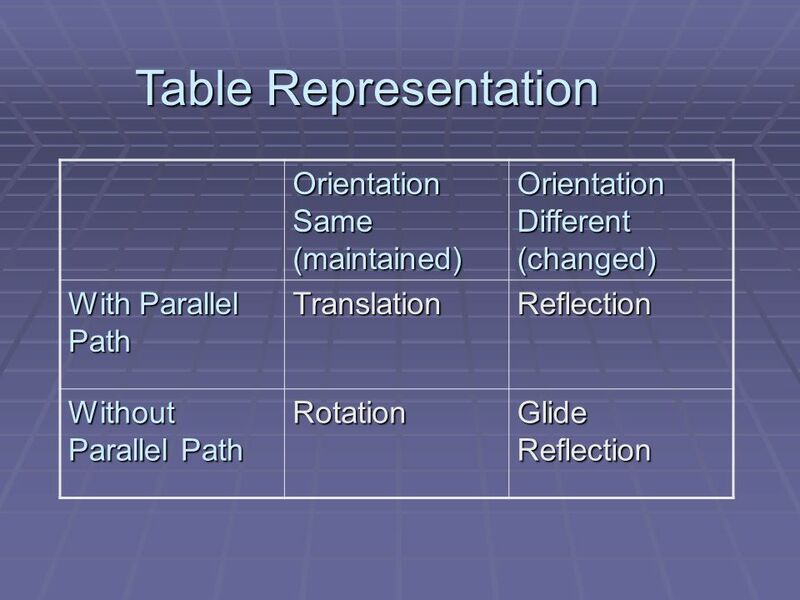 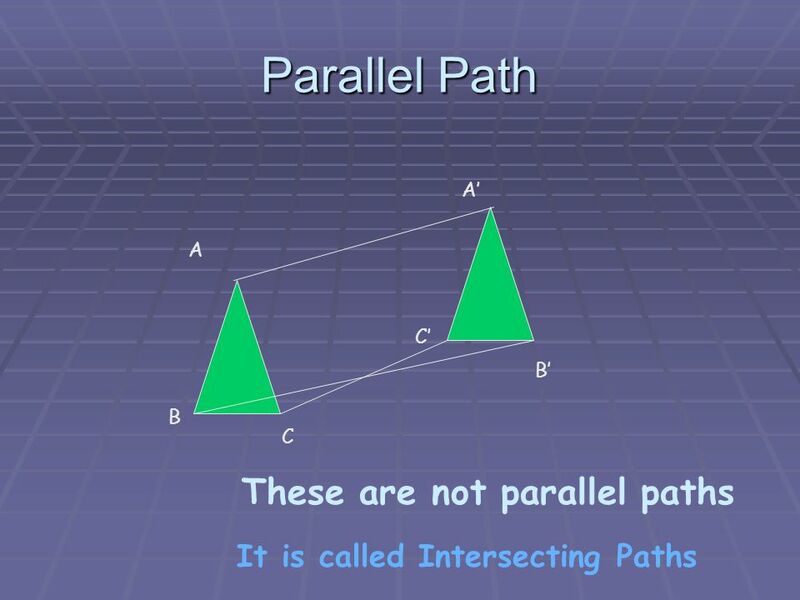 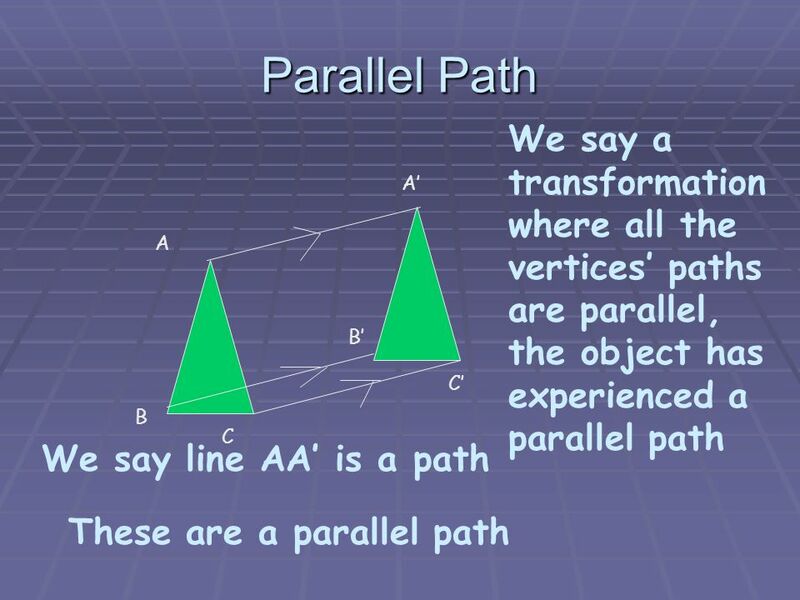 Introduction Now that we have built our understanding of parallel and perpendicular lines, circular arcs, functions, and symmetry, we can define three. 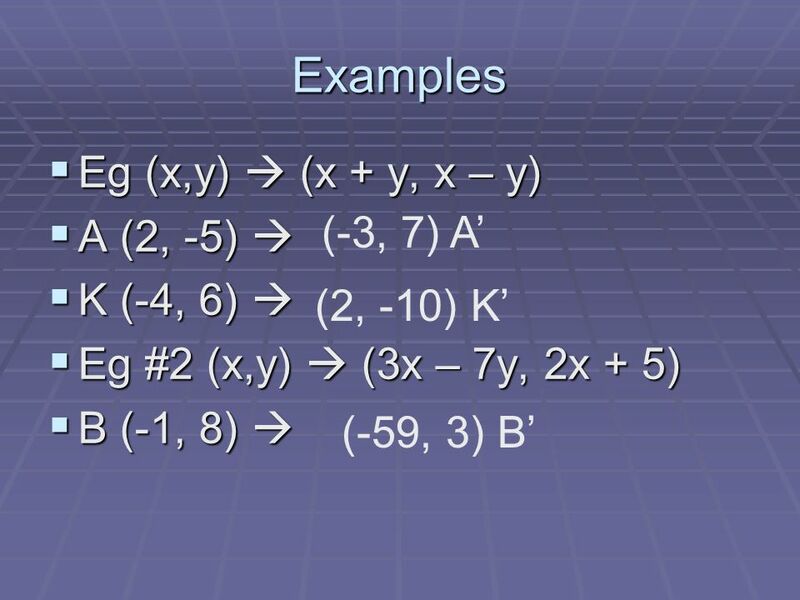 Warm-Up Which of the following does not belong?. 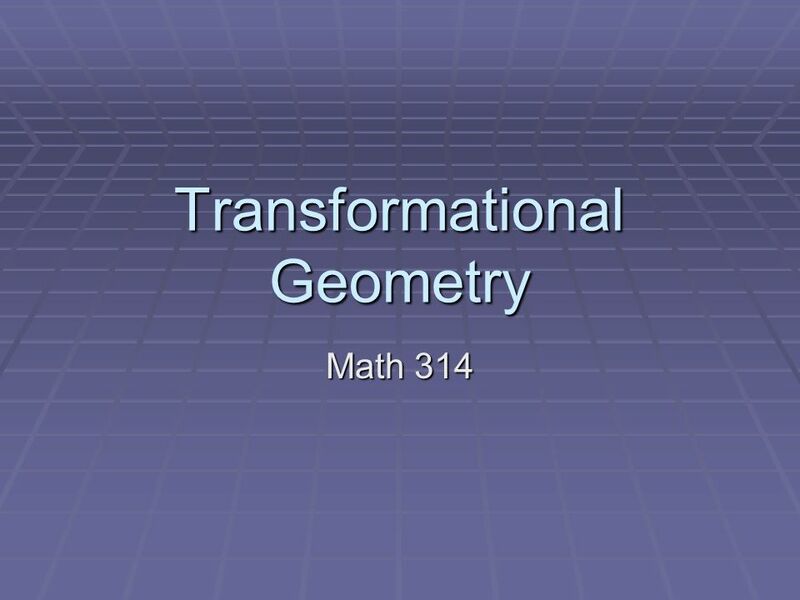 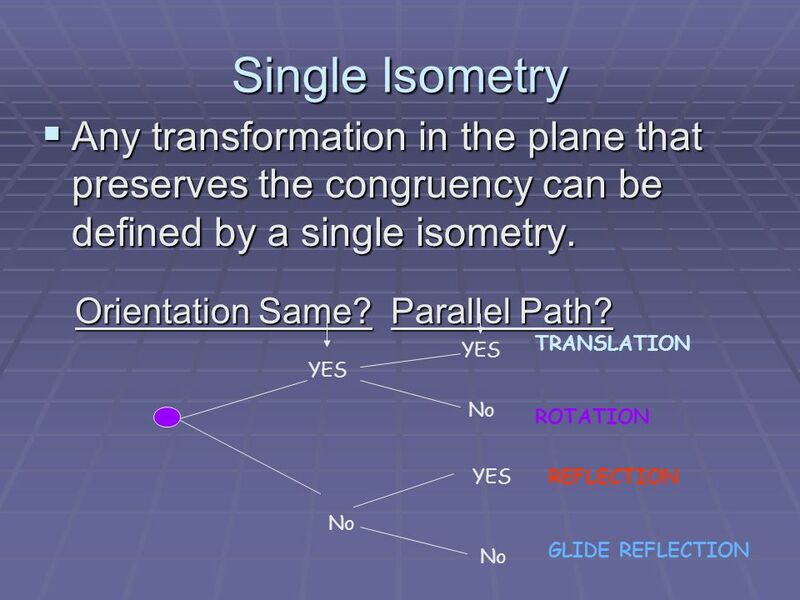 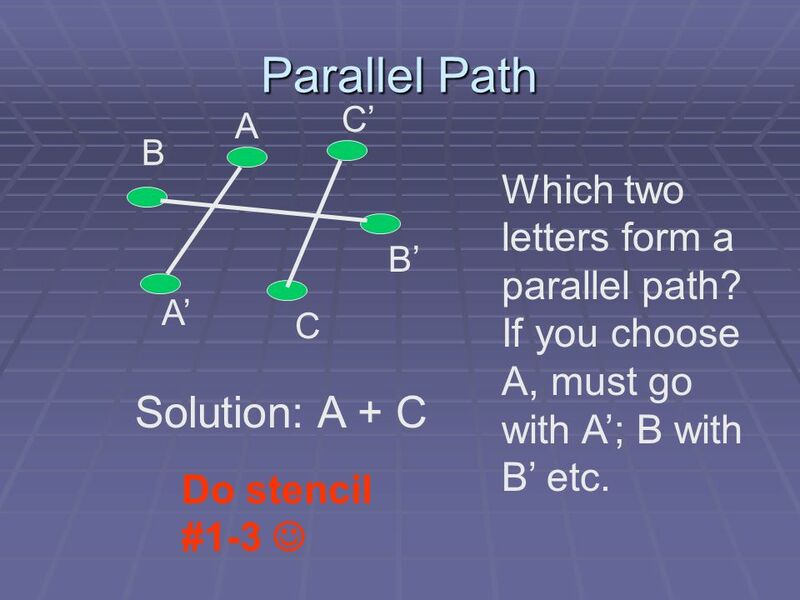 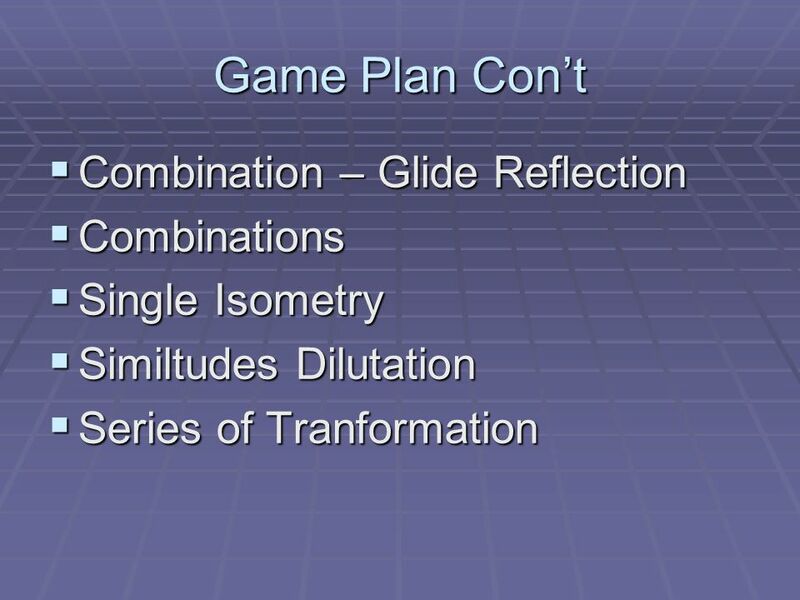 4.8 Congruence Transformations Objectives: 1.To define transformations 2.To view tessellations as an. 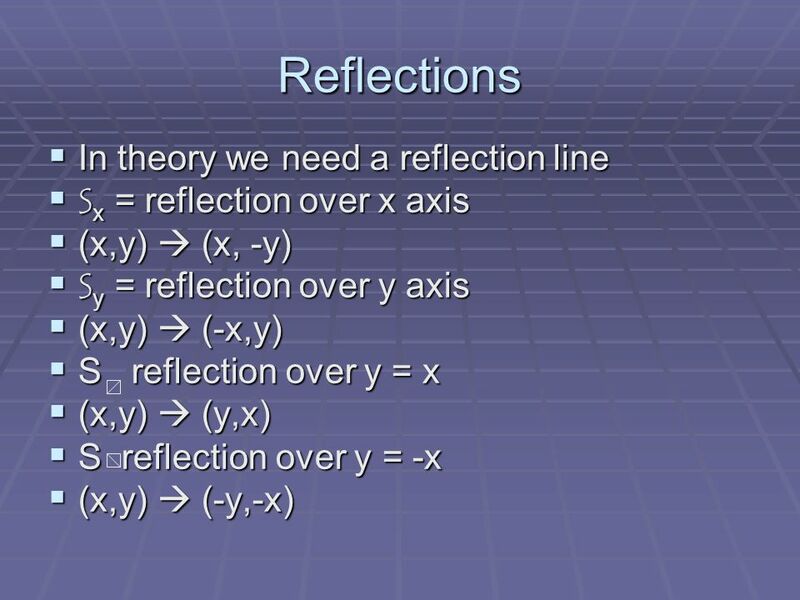 Reflection symmetry If you can draw a line through a shape so that one half is the mirror image of the other then the shape has reflection or line symmetry.